Update: Looks like we’re going to have a slightly different series of events than we’ve seen on the PTR. If you log on right now, you’ll be able to progress through the quest chain below. Rather than draining your Artifact, the quest instead maxes it out. 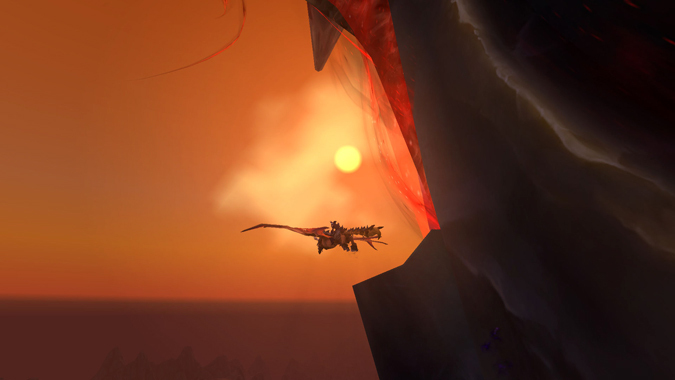 That’s right — all Artifact traits and a max level of 126 await you, along with all traits at the Netherlight Crucible. Note that you must complete all quests with Magni to proceed — this includes the Sholazar Basin quest chain, and all quests out in Silithus. Once you’ve completed delivering Khadgar’s letter to Magni, return to your capital city for the new quest. If it doesn’t pop, try relogging — I had to head back to Orgrimmar and relog to get the quest to show up. Side note: If you’re looking for a quick trip to Silithus, hop the Uldum portal in either Stormwind or Orgrimmar, and fly over from there. More updates are at the bottom of this column. It’s been no secret that we won’t be carting our beloved Artifact weapons forward into Battle for Azeroth. What exactly happens to them, however, has been a perpetual mystery. On the latest PTR, we finally get a look at the events surrounding the end of our Artifacts. Needless to say, there are spoilers in this post — I mean, it’s right there in the headline, guys. If you’re avoiding spoilers, this would be a good place to hit the back button. 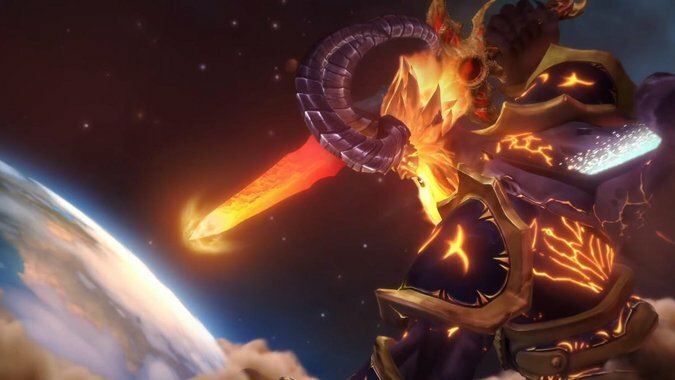 At the end of the Antorus raid, Sargeras is finally defeated and contained — but not before he shoves his blade into Silithus, decimating the zone and opening a wound in our world. 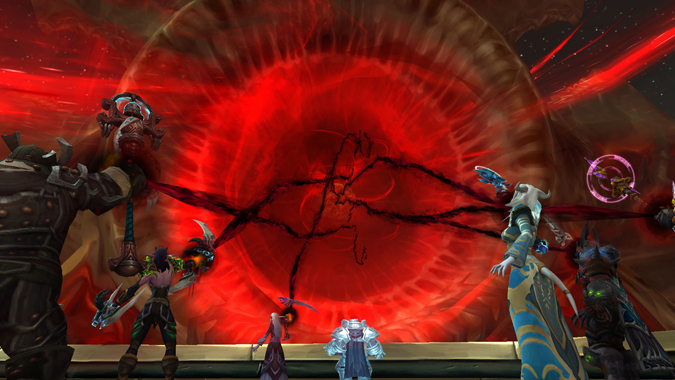 That wound has been bleeding Azerite, a powerful substance that both the Alliance and Horde are fighting over. But Azerite isn’t as much of a concern as the sword itself. It’s seeping dark energy into the planet, and, unchecked, it’s going to destroy the planet before we get a chance to do anything about it. Magni Bronzebeard has been researching exactly how to heal Azeroth, but nobody really had any good answers. So he headed to the place where answers are found: Karazhan, where Khadgar wandered off to during the initial Silithus quests. While we don’t actually see any of that conversation, the two finally came to a pretty good solution. All that dark energy from the sword needs to be contained. Ordinarily, the Pillars of Creation could handle that task — but they’re busy keeping the Tomb of Sargeras sealed. What’s the next best thing? Your Artifact weapon. Not just your Artifact weapon, all of the Artifact weapons that were gathered over the course of Legion. After a quick trip to an airship circling the blade, you meet up and encounter the other Artifact-wielders. Oddly enough, they aren’t represented by other players. The weapons are carried by high ranking members of each Class Hall — Alliance gets Alliance champions, Horde gets Horde champions. But it seems that in your own personal WoW canon, you’re the only regular hero of Azeroth swinging one of these things around. All of the Artifact weapons are simultaneously used to siphon the dark energy from Sargeras’ blade. It works…but in the process, all that power you’ve been dumping into your Artifact throughout the expansion? That’s gone. As for the wound, it’s been stabilized now, but it still requires healing. And to address that problem, we’re going to have to wait until Battle for Azeroth launches. On the one hand, this seems to be a glorious end for these weapons — their power is being sacrificed to save the world. On the other, it’s a little heartbreaking to think the Scythe of Elune no longer holds any power. Or the Doomhammer. Or, you know, Ashbringer. There’s still some lingering questions here, though. Most weapons are forces of good. Some…aren’t quite so much. And we didn’t just, you know, destroy the weapons — we filled them with the dark energy emanating from the weapon of a dark Titan. Yes, they went dark. Yes, it now says that their power was sacrificed in the Artifact pane. But…was it really, or are they just dormant for now? With a weapon like Xala’tath — a weapon that’s potentially a chunk of an Old God — one has to wonder. I did take my Shadow Priest on the quest, just to check to see if Xala’tath had anything to say on the matter. Unfortunately, your weapons are devoid of power the moment you log on the PTR, so the blade was absolutely silent. If it is going to share any unnerving words of wisdom, they simply haven’t been implemented yet. But there’s a part of me that still wonders if we’ve solved a problem, or if we’ve created another one that will come back to haunt us later. Regardless, I suspect that particular plot point is going to be left dangling — we’ll have bigger issues to deal with when Battle for Azeroth arrives. Additional update: Obviously our weapons aren’t drained right now — the PTR, however, included the item squish, which meant dead weapons. Having our Artifact weapons maxed out should make any final challenges in Legion a little easier to obtain…including that pesky Mage Tower, if you haven’t completed the challenge. In addition, Xala’tath is still silent — which is weird considering the king-sized Big Gulp of go-go juice I just shoved down the tricky blade’s throat. Maybe she’ll pipe up later? Maybe not. But given the volatile nature of our Artifacts, it’s only a matter of time before they burn out — so take advantage of your superpowered weapons while you still can.